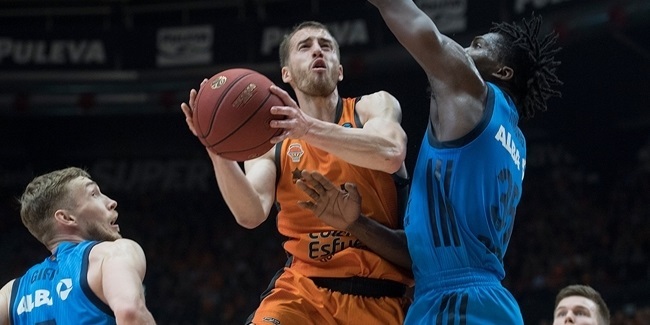 Valencia Basket has much to be happy about as it looks ahead to the 7DAYS EuroCup Playoffs. The winningest club in competition history is riding high with a 10-game winning streak, and by virtue of Wednesday's victory over Limoges CSP, finished as the only undefeated team in the Top 16. Its reward will be home-court advantage in all of its playoff series this season. Entering Round 6. that was anything but certain with two other clubs vying for the best overall Top 16 record. But when LDLC ASVEL Villeurbanne fell on Tuesday and MoraBanc Andorra on Wednesday, the top spot was Valencia's for the taking. And Coach Jaume Ponsarnau's team had to win to make it happen; a loss would have dropped Valencia behind UNICS Kazan and ALBA Berlin – and potentially behind ASVEL, too. While the home-court advantage is worth fighting for, it is only an advantage and the players must make use of it. Valencia knows all too well how it can become meaningless in an instant. Two seasons ago, Valencia marched into the best-of-three EuroCup Finals against Unicaja Malaga with that same advantage. 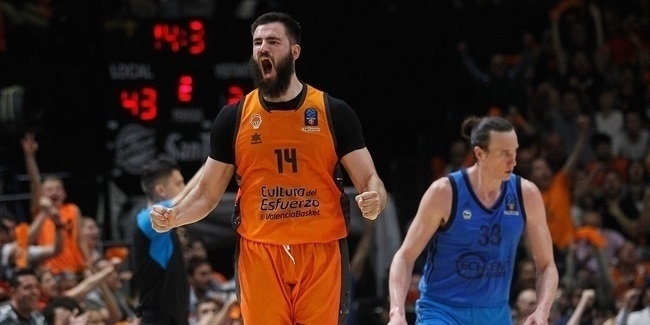 After winning Game 1 at home and losing Game 2 in Malaga, Valencia was cruising along with a 13-point lead in the fourth quarter of Game 3 and eyeing a record fourth EuroCup crown. Instead, Unicaja took the game over with a 0-13 tear and went home with the trophy. 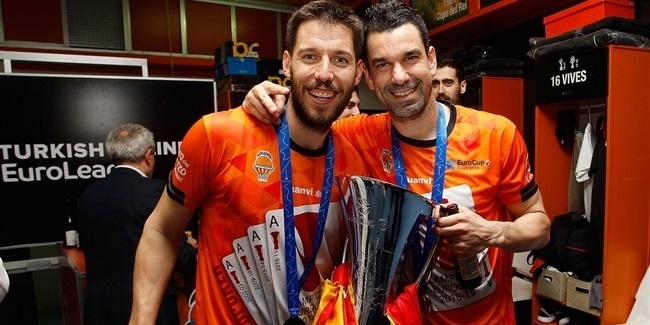 Valencia is not the only team that failed to capitalize on its home-court advantage in the EuroCup Playoffs, which began in 2017. In fact, no top-ranked team heading into the playoffs under the current format has gone all the way. Last season, Lokomotiv Kuban Krasnodar was not only ranked best, it was undefeated heading into the EuroCup Finals, 20-0. And then Darussafaka made quick work of the Russian giants with a 2-0 sweep. If any team is equipped to break the jinx it is Valencia, which has enough experienced players to know that what happened in the past is history, but also to appreciate how hard the home-court advantage was to get, how much it is potentially worth and to make sure to protect it every night.